The Spring Market will be held at the historic Ford Building at Camp North End on April 27, 2019 from 10am-5pm. To be among the first to know about our events, please join our email list for updates! To sell at a Vintage Charlotte event, your merchandise must be vintage, antique, handmade or any combination of the three. To us, vintage means at least 20+ years old. We do not allow reproductions of any kind. Handmade means made BY YOU. The name on the application should be the person who physically makes and/or leads all creative direction on the products. Vintage Charlotte is a market that values handmade and craft, but it is not a good fit for those creating Fine Art. We curate our events to meet the tastes and needs of a young, hip clientele. We are looking for our vendors to be varied and as such we limit the number of each kind of vendor we allow. Vendor categories include but are not limited to: Clothing, Accessories, Jewelry, Furniture, Household. We encourage niche, antique and other interesting vendors to apply. 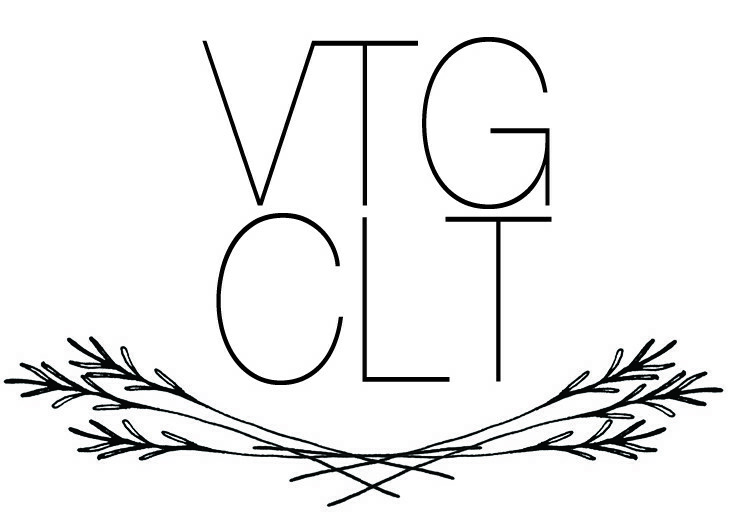 While Vintage Charlotte events are open to vendors nationwide, we highly value our local and regional community. Please note that vendor space at our markets is extremely competitive and that while we would love to accept all that apply, it is simply not possible. Vendors must be able to provide descriptions of expected stock and photographs or links to an online store. Applications without photos or links will not be considered. What is expected from a Vintage Charlotte vendor? Aside from all around awesomeness? The ideal Vintage Charlotte vendor knows themselves, their product, their customers and has a unique aesthetic. We like vendors who have fantastic, reasonably priced items set in visually appealing booth spaces. We want you to be creative with your space and draw the buyers in, don’t just throw it all on a table. Items should have visible prices (whether individually or by rack/shelf is up to you). Vintage items for sale should be clean and in good condition. As a vendor, your basic responsibilities are to pay for your booth, show up at the event on time and man your station throughout the event. Vendors we love also do the following: get involved, design really amazing spaces, hang posters all over town, tell everyone about the event, use social media to spread the word and love the event as much as we do! I have never been a vendor before, can I apply? YES! Please do, everyone starts somewhere! Let us know if you need help along the way, that’s what we are here for. Yes. Due to the increased number of applications we are receiving and the enormous amount of time and effort that goes into reviewing each and every application, there is now a $10, non-refundable application fee per event. This service fee is due upon the submission of your application. Upon submitting your application, you will be directed to pay the application fee via paypal or credit card. How much is the booth fee for the Winter Market? The booth fee varies by event location and by size of booth, please refer to the event specific vendor application to find out the details on prices and sizes. Once you have been accepted as a vendor, you will be responsible for paying your booth fee within 14 days. How will I know that you have received my application? You will get a confirmation of application receipt via email within 24 hours of applying. If you do not get a confirmation email within 24 hours, it means that we DID NOT get your application, please send it again. How long does it take to find out if I’ve been accepted as a vendor? Due to an ever increasing number of interested vendors, we are now only accepting applications during a set date period (refer to specific event applications for open dates). During our open application dates, we WILL NOT be actively reviewing applications. Once the application period closes, we will review all applications received and send out all notifications on a date as indicated in the event application. Yes, you may share a booth with another vendor if you apply together. Make sure that it is clear that there are two people/businesses applying under one application. Please note that we review applications as a whole and will pick and choose if one vendor meets our criteria and the other does not. Make sure you wholeheartedly believe in your partner! There will need to be a main contact designated and all payments must be made at one time from one source. Do I need a vendor permit? You do not need any special permits to be a vendor in any of Vintage Charlotte’s events. All vendors are responsible for collecting and reporting their own income and taxes. I sell furniture/I have a lot of stuff to sell! Can I get two booths? Due to extremely limited space at our markets, you may only apply for one booth. At some events there are larger sized booths, these may be reserved for vendors with large items (furniture). How do you advertise for this event? Advertising varies by events, but we always have a press release sent to all Charlotte area news outlets. We are also a big fan of guerrilla advertising with posters, postcards and social media. We will get the word out! If you have any connections with the press you want to tell, if you want to hang posters, or if you want to blast all your social networks with the event, by all means, please do!